There are 14,321 Dollar General stores in America. It’s a chain that many shoppers have never heard of, yet it has more stores than Starbucks. According to the Wall Street Journal, the Dollar General company is worth $22 billion—far more than the nation’s largest grocery chain, Kroger, which has five times the revenue. Sadly, however, Dollar General is thriving because, as the Journal puts it, “rural America is struggling.” The chain builds stores where folks are down on their luck, where 20 percent of customers receive government assistance, and where even Walmart won’t bother doing business. I phoned several Dollar General stores and learned that none sells fresh meat or produce; the grocery aisles feature mostly canned and frozen goods. Many products, such as soft drinks, come in mini-sizes to keep unit prices low. And few locations had newspapers for sale. Maybe that’s just as well, because headlines these days report that the stock market is remarkably high and unemployment is surprisingly low. But for rural America, news like that doesn’t hit home. Things are looking up in Donald Trump’s America, except, of course, where they are not. The administration’s proudest accomplishment is a tax bill that benefits millionaires and billionaires. The Joint Committee on Taxation finds that the Senate version of the bill would increase taxes on all Americans making less than $75,000 a year. In rural America, where about 46 million people reside, employment and economic growth have not recovered from the last recession at a pace seen elsewhere in the nation. Childhood poverty—perhaps the most critical metric in determining a population’s well-being—is considerably higher in rural areas than in urban centers. The crisis facing rural America is rooted in the fact that peak-level employment related to natural resources, such as mining and logging, is never coming back. Rural America is mired in a permanent recession. Its problems are difficult to correct because of a sprawling landscape, scattered government support structures and what often seems to be federal indifference. Many among the predominantly white rural population voted for Trump in 2016—a sign, perhaps, of utter desperation rather than considered opinion. But according to recent reporting by Politico, Trump now intends to make the most sweeping changes to federal safety net programs in a generation, using legislation and executive actions to target recipients of food stamps, Medicaid and housing benefits. What the rural poor need is greater federal assistance, not less. They would welcome jobs such as repairing the nation’s infrastructure, which Trump campaigned on but doesn’t mention much these days. As things stand, you don’t need a degree in economics to predict rural America’s future. 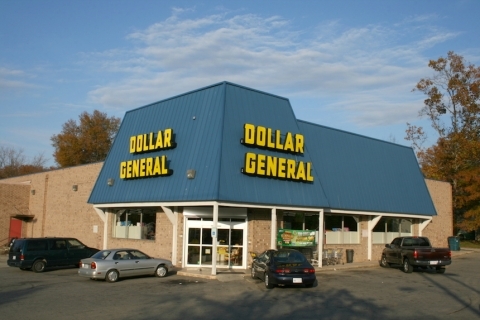 Just consider: By this time next year Dollar General expects to have nearly a thousand more stores. >> The article above was written by Peter Funt, and is reprinted from In These Times.